Summary: A sermon examining the power of one sold out servant of God. When D.L. Moody was just starting in the ministry he heard a preacher say, "The world has yet to see what God can do with a man fully surrendered to Him." That night Moody said, "By God’s grace I’ll be that man!" Moody had little formal education, and he was not a polished speaker. But God used Dwight L. Moody to reach two continents with the Gospel. He presented the plan of Salvation, by voice or pen, to at least one hundred million people. He often spoke to audiences of ten to twenty thousand people. It is estimated that over a million souls came to Christ as a result of his ministry. Throughout the Bible we have many examples where God used a single surrendered individual to accomplish great things for Him. God used Noah to build an Ark and preach repentance to a corrupt generation. God used Moses to deliver His people from the strong hand of Pharaoh. God used Elijah to oppose the evilness of Ahab and Jezebel. (He prayed fire down from Heaven and slew 450 prophets of Baal.) God used a reluctant preacher named Jonah to bring revival to Nineveh. God used a little shepherd boy named David to slay the Giant of the Philistines named Goliath. God took a handful of fishermen, a publican and a few other common men and used them to turn the world upside down in the name of Jesus Christ! God took a man named Saul of Tarsus who had been the greatest persecutor of the church and transformed him into the greatest Christian who ever lived. God did not stop with the men we read about on the pages of the New Testament. He has continued to use men and women throughout Church history to bring glory to His name. People like: Martin Luther, John Calvin, John & Charles Wesley, George Whitfield, Jonathan Edwards, C.H Spurgeon, Dietrich Bonhoffer, Corrie Ten Boom, R.A Torrey, A.W Tozer, D. L Moody, Billy Sunday, Annie Armstrong, Lottie Moon, Billy Graham and many others. These individuals were successful in the Kingdom work because they were fully surrendered to the will of God in their lives. God does not seek out those with the greatest ability or the most education. He chooses to use those faithful and fervent servants. He uses those men and women who possess a great burden and a desire to move forward. 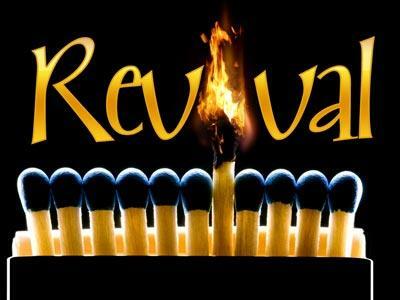 It is abundantly clear that the church needs restoration and revival. 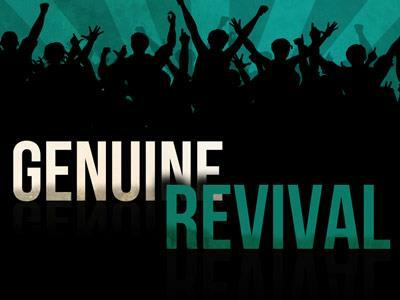 There is no shortage of people who claim that they want to see revival. 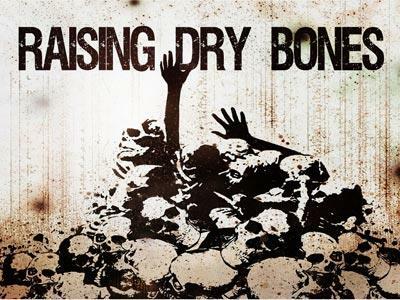 But there is a shortage of those who are willing to do something about it! The problem is that the majority are waiting on "someone else" to do something. However, nearly every great move of God began with one or two people who developed an immense burden. That was the case in Nehemiah's day. Jerusalem had been ruins for many years. Many of the Israelites noticed the problem, but no one did anything about it. In Nehemiah, God found a man with a burden. And that burden led to action and that action led to revival! Here in chapter one, we get a glimpse of the immense burden of this man named Nehemiah. As a young man, Nehemiah had been appointed to the office of "Royal Cupbearer". A cup-bearer was one who would serve drinks to the King. The cupbearer would guard the cup in order to prevent the King from being poisoned. At times he would be required to test the wine personally before serving it to the King. The position of cup-bearer was greatly valued and not given to just anyone. One who held this position would often gain great influence with the King. At this time in history, Artaxerxes was the King. Artaxerxes and Nehemiah had developed a close relationship. So much so that one day Nehemiah was heavily burdened and the King could tell by his demeanor that something wasn't right. Nehemiah began to explain to his master the reason for his sorrowful demeanor. One day his brother arrived and Nehemiah asked about the people of God and the city of Jerusalem. Hanani informed him that the people of Judah and the city of Jerusalem were in a terrible condition. - v3 And they said unto me, The remnant that are left of the captivity there in the province are in great affliction and reproach: the wall of Jerusalem also is broken down, and the gates thereof are burned with fire.